The air’s just turned crisp in South Eastern Ontario, and its time to order plants for autumn planting. We’ve finally been getting some rain. This is great news, as most of us didn’t plant much this year due to the dry weather conditions. It’s the perfect time to plant our 20 beautiful flowering shrubs in our Multicolour 20m Hedge package. Our gorgeous 12m Multicolour Hedge brings together a selection of Salix and Physocarpus opulifolius shrubs. BambooPlants.ca – your online Canadian mail order catalogue for ornamental hedge shrubs. Summer Promos and 10 plant Value Packs! BambooPlants.ca – your online Canadian mail order catalogue for ornamental grasses, flowering hedge and border shrubs, and Canada hardy bamboo. We also grow a select range of native species, perennials, edible plants (mmm, Goji! ), climbers and ground covers. 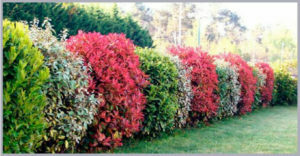 Check our Combo Packages for highly ornamental hedge and border groupings. 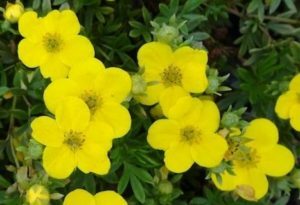 Don’t miss our Value Packs of 10 plants in Special Offers! Our plants are grown in Ontario and shipped throughout Canada.